You can now see every iBook you've bought in iCloud. Apple announced the next version of iBooks software at the iPad mini event earlier today, and version 3.0 has now gone live in the App Store. This major update to iBooks brings multiple enhancements, including continuos page scrolling, iCloud support, and integration with iOS 6’s sharing options. 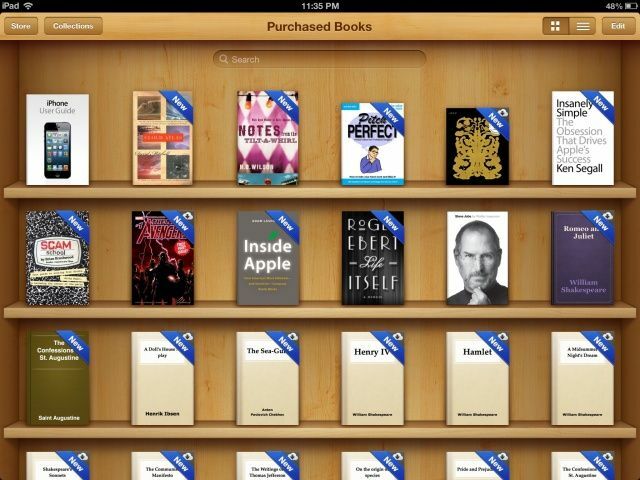 Publishers can now push out over-the-air updates for books purchased in the iBookstore as well. 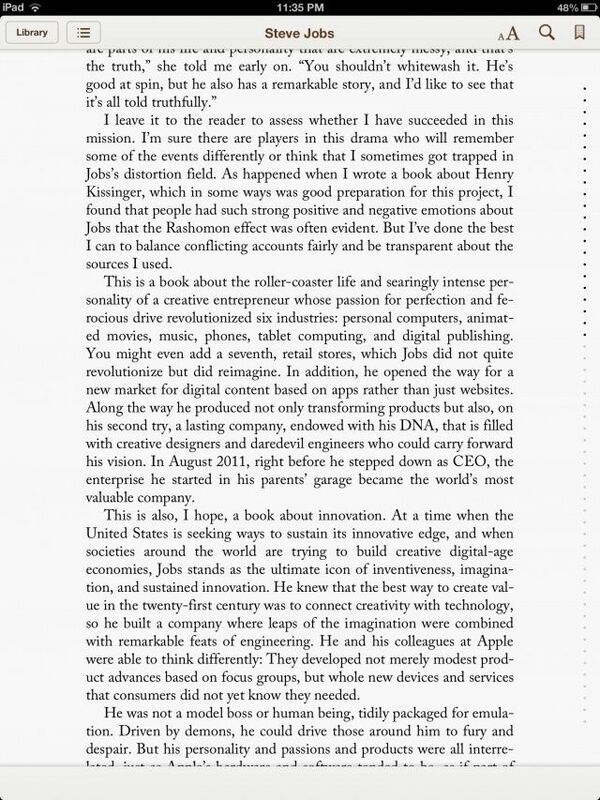 Apple has introduced a new scrolling theme that allows you to flip through your book pages vertically rather than from left to right. The two biggest updates in the app are related to iCloud. Like iTunes, you can now view all of your purchases in-app and download select items to be stored locally on your iOS device. Like an over-the-air iOS update, authors can push out corrections and updates to their books with ease. No more flipping from horizontally with the new vertical scrolling in iBooks. 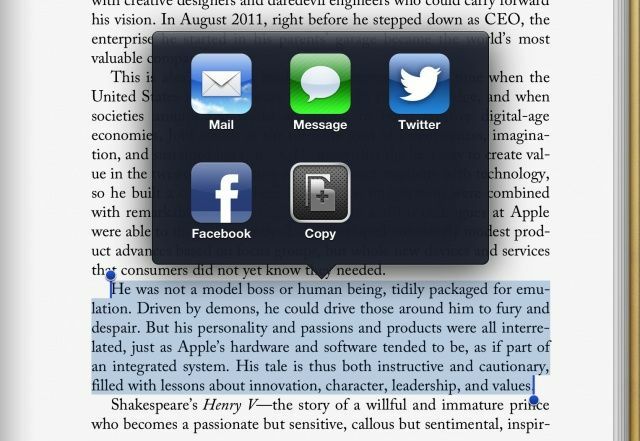 The sharing options in iOS 6 are present and allow you to post a quote from a book on Twitter or Facebook. 40 new languages and enhanced dictionary support has also been added. You can grab iBooks 3.0 for all iOS devices in the App Store now. Apple also released a new version of iBooks Author earlier today to allow for publishing the over-the-air updates supported in iBooks 3.0.